Old Fort Babine is a village inhabited by Lake Babine First Nation people on the north side of Babine Lake near Granisle. Old Fort is very isolated the only way to get to it is by boat or float plane. Most residents only spend 2 to 4 weeks a year there during fishing season. 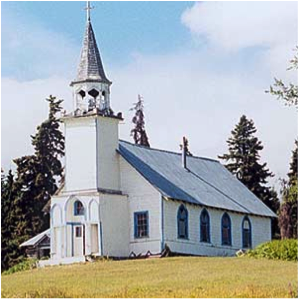 The village has a church which was built in 1898; it is not in use as it needs a lot of renovations, the church at Old Fort Babine is a landmark on Babine Lake.